Bonnie Gault-Blue recently retired from working as a licensed Marriage and Family Therapist, and she is now writing pieces for the memoir that has haunted her thoughts for the last few years. It is about her time living in a community in Scotland. As well she writes stories of nature. She has had one article published in The New Times, out of Seattle. Carol Lynn Stevenson Grellas lives in the Sierra Foothills. She studied at Santa Clara University where she was an English major. She is a nine-time Pushcart Prize nominee and a seven-time Best of the Net nominee. In 2012 herchapbook, Before I Go to Sleep won the Red Ochre Chapbook Contest. In 2018 her poem A Mall in California took 2nd place for the Jack Kerouac Poetry Prize. She is the author of numerous chapbooks and six full-length collections of poetry, including Epitaph for the Beloved, (Finishing Line Press) and Alice in Ruby Slippers (Aldrich Press) slated for publication in 2019. 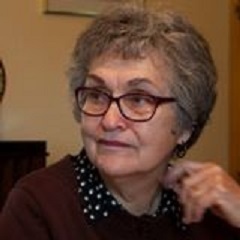 Her work has appeared in a wide variety of online, print publications and anthologies, including: The Yale Journal for Humanities in Medicine, Poets and Artists, War, Literature and the Arts. 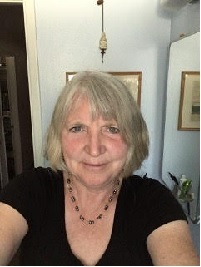 She is the Editor for The Orchards Poetry Journal and a member of the Sacramento Poetry Center Board of Directors and the Saratoga Author’s Hall of Fame. According to family lore she is a direct descendant of Robert Louis Stevenson. 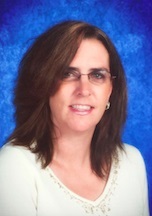 ML Hamilton has been teaching high school English and journalism in Central California for the last 25 years. Teaching students to appreciate literature is rewarding; however, she always dreamed of publishing her own novel. That dream came true when her first novel, Emerald, was published by Wild Wolf Publishing in 2010. In 2015, she decided she had learned enough from her publisher to venture out on her own. She then independently published the remainder of her novels, which number 39 to date, with many more planned in the future. In 2017, she ventured into editing the works of others. To date, she’s helped 40 manuscripts become published. 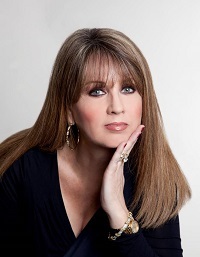 Visit ML Hamilton at her websites: authormlhamilton.net or blackcatediting.weebly.com. Born in Santa Cruz, Michele is a fifth generation Californian. During her career in journalism—as a reporter and editor at daily newspapers—she won awards for producing investigative series. Her Amy Hobbes Newspaper Mysteries include: Edited for Death, (“Riveting and much recommended” by the Midwest Book Review), Labeled for Death, and Delta for Death. A stand-alone book, Ashes of Memories, came out in May, 2017. Adding to Michele’s portfolio is a paranormal romance series, SNAP: The Kandesky Vampire Chronicles, named the best paranormal vampire series of 2014 by the Paranormal Romance Guild Individual titles include SNAP: The World Unfolds, SNAP: New Talent, Plague: A Love Story, Danube: A Tale of Murder, SNAP: Love for Blood, SNAP: Happily Ever After? SNAP: White Nights, SNAP: All That Jazz, SNAP: I, Vampire . Currently Michele is hard at work on SNAP: Red Bear Rising. She has also recently finished the first book in the mystery series Stained Glass Saga, Stain on the Soul. Both Red Bear Rising and Stain on the Soul are scheduled for publication this year. 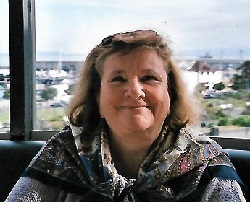 A past president of Capitol Crimes, the Sacramento chapter of Sisters in Crime, Michele serves as co-chair for Bouchercon 2020, the world’s oldest and largest convention for mystery writers and fans. One morning each week, JoAnn Anglin travels 20 miles to the “castle on the hill.” Wearing appropriate clothes, she leaves behind any forbidden items. In her allowed tote she carries lesson plans, prepared for two classes of 8-10 students each. Every lesson she assigns is one that she herself does, whether as homework or as an in-class writing exercise. A respected figure in the media field for many years and a practicing poet for more than 25, JoAnn teaches poetry at Folsom State Prison. Waving off skeptics and naysayers, JoAnn remains committed to this calling after six years, during which she has come to learn the value of this extraordinary time, not just for her inmate students, but also for herself as a writer, an artist, and a person. A member of Los Escritores del Nuevo Sol, JoAnn published her first chapbook of poems, Words Like Knives, Like Feathers, three years ago through Rattlesnake Press. Her poems have appeared in 100 Poems about Sacramento, the Anthology of the Third Sunday Poets, The Pagan Muse, Poems of Resistance, Voces del Nuevo Sol, Poetry Now, and The Los Angeles Review. Currently she is working on poems for a collection to be called Double Exposure.